Dermot, was great and showed us a great time and very accommodating and learned a lot. we loved Antarctic which is a must see. he is friendly and makes you feel like he knows you. we seen as much as we could and he makes that happen. I would highly recommend him. TOUR GUIDE RESPONSE: It was a pleasure showing your group of 22 around Christchurch for your day excursion.....I am happy everybody enjoyed themselves ! 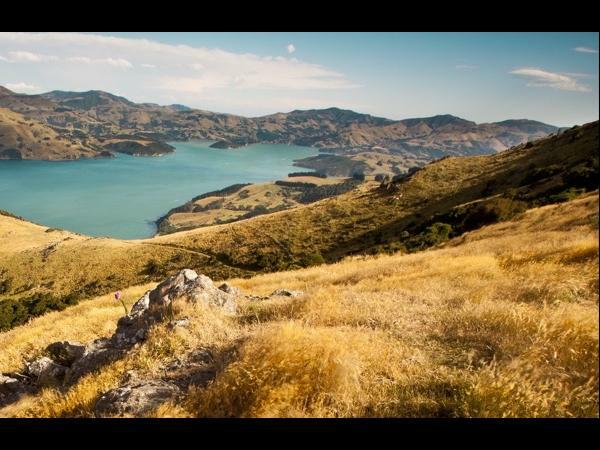 TOUR GUIDE RESPONSE: Many thanks for your rating and comments and it was such a pleasure showing your group the mountains and passes of the South Island near Christchurch and Lyttelton ! Dermot was an excellent guide for our group of 4. He provided us with considerable insight into Christchurch's struggles since the earthquake. Given the amount of destruction and reconstruction in process, I do not think we could have had a better tour. The pace was right and Dermot was friendly and knowledgeable . Dermot was flexible on the itinerary which allowed time to see Christchurch. We had been there thee decades earlier long before the fatal earthquakes. He also added the personal touch to those lives lost rather than quoting statistics. I work with earthquakes every year and he was able to weave that aspect into his tour of a city rising from the ashes. TOUR GUIDE RESPONSE: It was a pleasure showing you both around Christchurch and Banks Peninsula.....many thanks for taking the time to write a review ! Wonderful!!! Dermot was our guide/friend and did a wonderful job. He added so much to our vacation; meeting us right when we left the ship and filled our time with amazing adventures including beautiful vistas and interesting places. Some of the best memories of our 15 day trip are becauses of Dermots knowledge and joy for what he does. Don't miss out. TOUR GUIDE RESPONSE: Thank you so much for taking the time to write a review....it was a pleasure showing you and your family Christchurch, The Antarctic Centre etc. Dermot led a great tour of Christchurch. His knowledge of the earthquake experience and consequences, the history of its founding, and the current emerging architecture was most impressive. He knew where to take us for fabulous views from its dormant volcano, upclose sighting of the port city, the estuary and the beachfront, and multiple stories of local people. His willingness to answer our many questions about the economy and educational system was much appreciated. A delightful tour on a sunny day! TOUR GUIDE RESPONSE: It was a pleasure to show you around Christchurch and Lyttelton.....best wishes on your travels ! We had a great tour of Akaroa and Christchurch. Beautiful area. Very knowledgeable about the area. Strongly recommend. TOUR GUIDE RESPONSE: Very happy that you enjoyed this part of New Zealand ! Regards, Dermot H.
Dermot provided us with a wonderful tour of the Akaroa area. We wanted a tour "off the beaten path" and he certainly provided that for us! He packed so many things into the day that we felt as if we had really seen everything that we had been hoping to see. He took us to a wonderful little spot for lunch and made frequent stops along the way so that we could take pictures wherever we wanted to. He was flexible, pleasant and very knowledgeable. I would definitely recommend Dermot. The four of us had a great day with Dermot. He clearly knows the area around Christchurch, the beautiful drives, the history of the area, the people and what the area has to offer. He did an especially good job of introducing us to Christchurch, its past, the earthquake, and its present. We enjoyed him personally and know you would find your time with him well spent. Dermot was a fun guide with interesting commentary about the area. Highly recommend this tour. Dermot customized a tour for us that included a visit to the Mandalay sheep farm to see a demonstration of sheep dogs herding -- at our request, he even arranged a special sheep shearing demonstration with the farmer that none of the big tours got to see. Thanks for the special effort, Dermot! The visit to Christchurch was good too, with beautiful scenic overlooks. But it's a drive and more time poking around Akaroa might have been equally fun. Everything was top notch with Dermot--we loved every minute! Dermot was a pleasure to work with. I contacted Dermot back in March of 2017 for a tour in November 2017 expressing the interests of our group of six. He put together a tour to satisfy the requests of each of us. His knowledge of New Zealand kept us all informed and his easy going, pleasant personality helped make our tour educational and enjoyable. He was willing and able to modify the tour a bit to accommodate new requests. We highly recommend Dermot to anyone wanting a wonderful day. Dermot delivered a really good day in a city that had been devasted from the quake. He did the best he could under diff weather conditions. It rained mist of the day but he made sure every part of our tour was seen. Great hard. Tough conditions. DERMOT is an empathetic walking encyclopedia,deserves 5 STARS AT THE VERY LEAST! Not a dull moment on our 3-day Christchurch/Banks Peninsula/Akaroa tour which showcased 2011 quake destruction, the community's ALTRUISTIC effort to rebuild; scenic drives over breathtaking landscape with abundant wildlife evolved since volcanic eruptions MILLIONS of years ago,modified by diverse native and colonial farm heritage; conservation of native endangered species,supervised ADVENTURE ENCOUNTERS; splurge-worthy EATS! Christchurch is interesting as far a how they are moving forward after the earth quake, especially the use of cargo containers. The real beauty of this tour is the country. There are beautiful views everywhere if you take the route over the mountains. Dermot lives in a beautiful area with an awesome view, you don't want to miss. TOUR GUIDE RESPONSE: Thank you for your review Karen ! TOUR GUIDE RESPONSE: Thank you for taking the time to submit a rating, Regards, Dermot H.
Dermot was an excellent guide. He met us at the port and was cognizant of, and adaptable to, our interests and needs. This began before we even jumped in the car when we expressed an interest to take a short walk to the nearby lighthouse and continued throughout the day until her returned us to port. He shared a wealth of knowledge about the area and was also very personable. 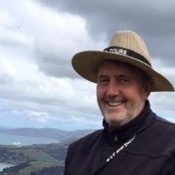 I would highly recommend using Dermot as a guide when you are in the Akaroa-Christchurch area. Kudos to him! TOUR GUIDE RESPONSE: Many thanks for the review Sally ! We really enjoyed our time in Christchurch with Dermot. He's a great guide and it was amazing to see the beautiful countryside and the town. Can't wait to go back again in a few years! TOUR GUIDE RESPONSE: Many thanks for taking the time to review the tour Robert ! Dermot was fantastic guide and we all had such a wonderful day. The lunch he arranged was the best of the entire cruise and we really appreciated the "snacks". The airplanes were a hit since we had so many pilots and they kept asking for them in other locations but were unable to find them. Highly reccomend. TOUR GUIDE RESPONSE: Many thanks for the review Carol.....it was a pleasure customising the tour for your largish group. Hope you enjoyed Christchurch ! Dermot was a great host and tour guide. He adjusted the day to fit our needs and was very knowledgeable and personable. We enjoyed our day with him. Great tour, well-paced. Dermat worked hard to customize for us. TOUR GUIDE RESPONSE: Thanks for the feedback.....a pleasure showing you and your family Christchurch and Queenstown ! If there were six stars then that is what we would give Dermot for our day in Akaroa and Christchurch. He met us at the pier after our tender from our cruise ship. From the great vehicle with microphone and speaker to his wonderful commentary and insight, the day just got better and better. He drove us to one of the most beautiful views any of us had ever seen. He gave us time to walk the rim of the mountain in peace and never rushed us. His perspective on the recovering Christchurch was heartfelt. TOUR GUIDE RESPONSE: Thanks Michelle....it was a pleasure showing you the area ! TOUR GUIDE RESPONSE: Thank you Alan ! My diverse group of ten from Florida, California, Minneapolis and Montreal had a great time on this trip with Dermot. Dermot was very accommodating and understanding of our special requests to see some of the most amazing sights in New Zealand. During our journey, he would entertain us with interesting stories about New Zealand and its history. We gained so much knowledge and witnessed such beautiful country side from this one day trip with Dermot. We highly recommend him to everyone. Thank you Dermot. A great job by Dermot. The six of us will highly recommend Dermot to other touring individuals or groups in the Christchurch and Akaroa area's. His recommendation on the International Antarctic Center and Exhibit was spot on. We had a full day of sightseeing, made mid-course changes for sites based on changing requirements and weather, and had a great time. Dermot was just purely amazing. My husband and I spent our first year anniversary in New Zealand and had requested for Dermot to be our guide in Christchurch for 3 days. Truly unforgettable experience. It was a breeze liaising with him. He was also extremely patient and went put of his way to help check out the places we wanted to go to before hand to ensure that it was a smooth journey for us. He was also very informative, we truly did learn a lot from him. Would highly recommend him!! TOUR GUIDE RESPONSE: Glad you enjoyed your anniversary here !!! He is a superb guide. Extremely knowledgeable and sensitive to the clients needs. He was able to teach us both the history and culture of the area in an entertaining and thought provoking manner. I would not hesitate to recommend him to any of my friends visiting in the area. Dermot did a great job. He gave us a complete tour with a great lunch by the river in Christchurch. He is very knowledgeable and personable. I recommend him and would call on him again. Dermot was a stupendous guide. Informative, kind, amazingly accommodating, very knowledgable. He made our day, especially my aging parent's, a very pleasant one. made the best of the available time. TOUR GUIDE RESPONSE: Hi Sam and family. It was a pleasure to show you around Canterbury ! I hope you enjoyed your time together as a family in New Zealand ! Despite the fact that I sent 3 different emails with names ten people on the tour, Dermot still had the booking listed as 4 people from our initial email. He was able to accommodate 8 people who enjoyed his tour, but we had to go with a guide who ignored our requests for time in Akaroa, dropped us at a shopping mall to eat in a food court,ignored our preferences.To Dermot's credit, he found another guide for us and paid the difference in the fare, but our tour was bad. TOUR GUIDE RESPONSE: 10 travelers arrived when I was told the tour was for 4, and that day I had an 8 seater van. I did pay another operator to tour with Carolyn and another traveler. I did not realize that the tour had not gone well until now, I did my best to ensure the 8 I had had a great tour.When I got home I checked through the correspondence and found there was no confirmation of names at my end. I believe I did the right thing on the day. I am unhappy that the tour with Robin did not go well. Regards, Dermot H.
TOURSBYLOCALS RESPONSE: Dermot is very shocked to hear and apologizes for the way the tour with Robin went since he did his best to deliver a premium experience to the group he had with him. After going through the communication between guide and customer I couldn't find any message advising Dermot that there were more than 6 people in the group. We are fortunate to have Dermot as our tour guide whom we very much enjoyed his company during our holiday tour to South Islands. Dermot is understanding, tactful, punctual and caring towards us as senior citizens as he would accede to our requests to have reasonably priced food and going to places of interests. We will therefore not hesitate to recommend him to others. TOUR GUIDE RESPONSE: Many thanks Janet for your kind comments !!!! !